While publishing part 3 I run into a problem which I would like to share. I tried to uninstall and install the LINUX agent but didn’t help. 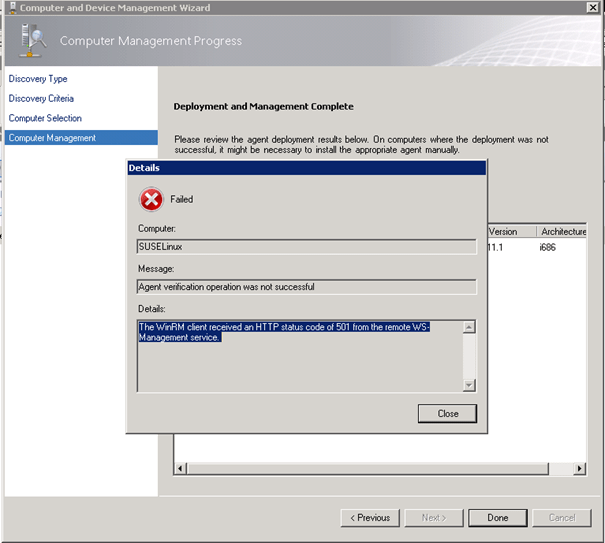 I found an article which describes a problem with a Windows patch KB2585542. I followed this article here http://operatingquadrant.com/2012/01/12/opsmgr-unixlinux-heartbeat-failures-after-applying-kb2585542/ and after that I could sucessfully deploy the LINUX agent. No reboot was required. Then everything went o.k.